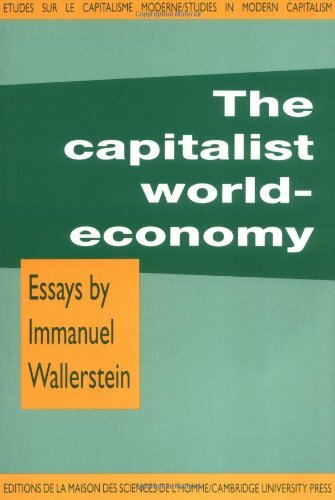 In The Capitalist World-Economy Immanuel Wallerstein focuses on the two central conflicts of capitalism, bourgeois versus proletarian and core versus periphery, in an attempt to describe both the cyclical rhythms and the secular transformations of capitalism, conceived as a singular world-system. The essays include discussions of the relationship of class and ethnonational consciousness, clarification of the meaning of transition from feudalism to capitalism, the utility of the concept of the semi peripheral state, and the relationship of socialist states to the capitalist world-economy. This book is the first in a three volume collection of Wallerstein’s essays. The Politics of World-Economy (1984) elaborates on the role of states, the antisystemic movements and the civilizational project. Geopolitics and Geoculture (1991) analyses both the events leading up to the collapse of the Iron Curtain, and the subsequent process of perestroika in the light of Wallerstein’s own interpretations, and the ways in which the renewed concern with culture is a product of the changing world-system.